The Federal Reserve’s decision to raise interest rates by 25 basis points was well anticipated by the markets and already built into the increases in mortgage rates that have occurred since the election. Currently at 4.16 percent, 30-year, fixed-rate mortgages remain very close to the highest levels in more than two years. But since the rate increase was considered a foregone conclusion, it will unlikely move the markets further past today’s increase. Nevertheless, the Fed suggested that more aggressive action possibly be taken in 2017 than was previously thought, including an intent to raise interest rates by 25 basis points three times over the next year rather than the anticipated two 25 basis-point increases. The more aggressive path is a reflection of stronger economic conditions since the middle of the year — as well as a faster pickup in inflation and a sharp drop in unemployment rates — but also an incorporation of expected fiscal-policy changes by some Fed members. Also, the hike reflects the Fed’s confidence that the economy has proven resilient and will continue to grow “moderately.” Estimates of gross domestic product growth and the U.S. unemployment rate over the next two years have also been revised more favorably. In the meeting’s follow-up interview, Fed Chair Janet Yellen acknowledged that 2017 will be poised with uncertainty and that future action will depend on what policies are put in place and the resulting impacts on the economy. Another note of caution is that President-elect Trump’s appointees generally have no experience with the workings of the government, thus the transition process may be rife with hiccups, and policies may take longer to implement. 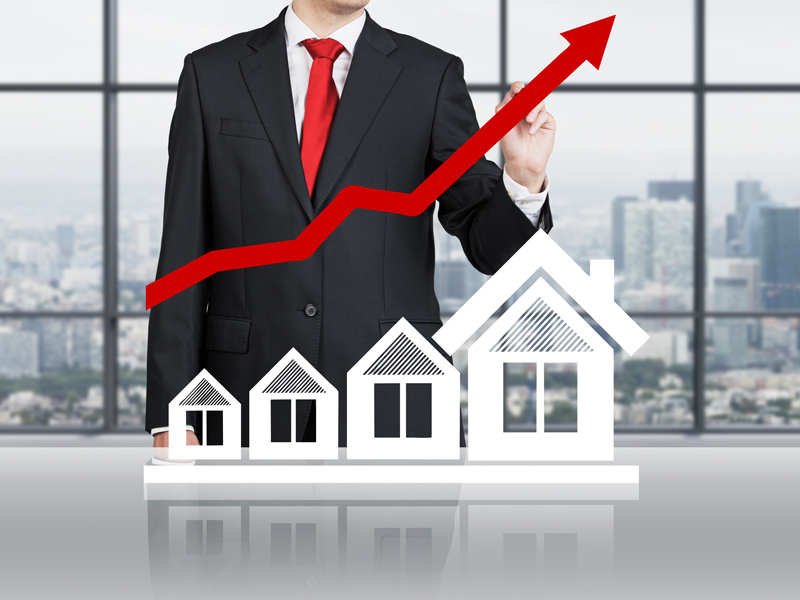 However, given the Fed’s vote of confidence in the U.S. economy and anticipation of higher inflation, higher mortgage rates will be top of mind for those who have been thinking about buying or selling a home. 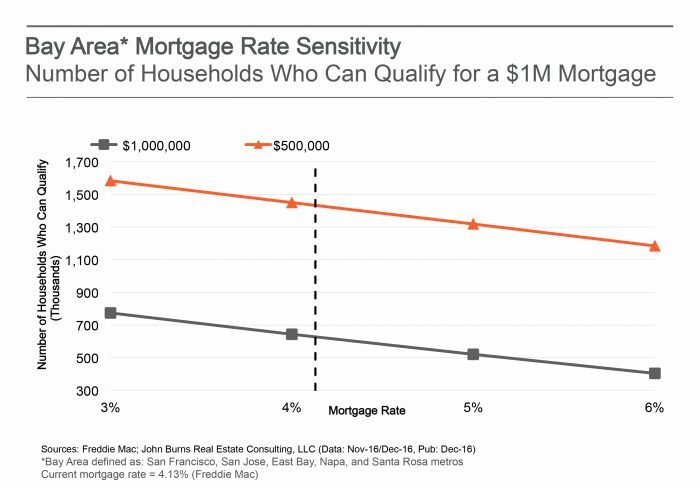 With a 33 percent mortgage payment (including PITI) to income assumption, about 38 percent of Bay Area households could qualify for a home priced at $800,000, which translates to a $640,000 mortgage loan with a 20 percent down payment. An increase in mortgage rates reduces the share of households who qualify by about 90,000. Similarly, the number of households who qualify for a $1 million mortgage, or a home priced at $1,250,000, drops by 120,000 households. Figure 1 illustrates the change in the number of households who can qualify for $1 million and $500,000 mortgages under four interest-rate scenarios. Selma Hepp is Pacific Union’s Chief Economist and Vice President of Business Intelligence. Her previous positions include chief economist at Trulia, senior economist for the California Association of Realtors, and economist and manager of public policy and homeownership at the National Association of Realtors. She holds a Master of Arts in Economics from the State University of New York (SUNY), Buffalo and a Ph.D. in Urban and Regional Planning and Design from the University of Maryland.